Ever wonder what those other five might have been? 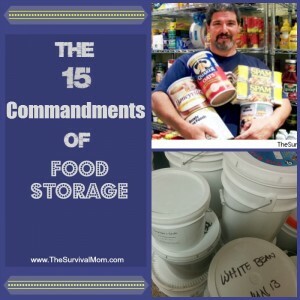 Try as I might I just couldn’t keep limit myself to only ten commandments when it comes to food storage. So if 15 commandments are good enough for Mel Brooks, it’s good enough for me! If you buy even one extra can of tuna tomorrow or box of crackers tomorrow, it will give you a sliver of peace of mind until next week. Worst case scenario, it’ll keep you alive for another few days. Over time, every bit adds up. All the food on an Army base will do you little good without adequate water. Remember the survival Rule Of Threes: you can survive three weeks without food but only three days without water (three hours without shelter, three minutes without air). Don’t count on canned food for more than a tiny amount of water. There’s not much in there and most of it is swimming with salt or sugar. In addition to storing water, it’s essential to have at least two ways to collect and purify more for replenishment. The internet and your local library abound with advice on both replenishment and conservation. We’ve all heard this, but what does it really mean? A couple years ago, The Church of Jesus Christ of Latter-Day Saints (Mormons or LDS), the original food storage experts, reiterated the call to start with three months of ordinary foods your family eats every day while building up basic staples like wheat and dry milk. Not food-like substances. It’s cheaper to eat the real thing, it keeps longer, is healthier and far more versatile! A can of chili is a can of chili. But a can or bag of kidney beans opens up a whole world of possibilities and doesn’t contain a nutritionally criminal amount of salt. You can pay the grocer or the doctor when a poor diet gets the best of you, and the grocer is cheaper. The cry of the last 20 years that healthy food is more expensive than chemical and additive laden convenience food is total codswollop, and there are whole books and websites devoted to it. If you haven’t read Michael Pollan’s Food Rules, it takes less than an hour but the benefits last a lifetime. Buying basics in bulk is economical and absolutely should be part of your plan, but what happens when all of one item expires or goes stale at the same time? If you spread out your buying, then you spread out your expiration dates, particularly with basic staples. 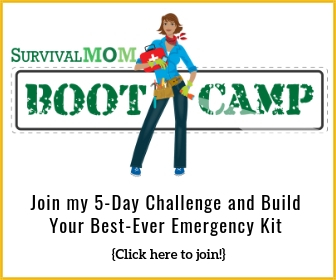 In an actual disaster, how would your family fare if you’ve got 100lbs of wheat, 100lbs of rice, 50lbs of powdered milk – and nothing else – to actually live on? Extracts, herbs, and sauces spice up a bland diet, and a years’ worth of cinnamon only costs about $6! Since the goal is to cook real food, picture this: you’re making pasta sauce from jarred tomatoes, olive oil, and onions from your root cellar but…no oregano, rosemary, or bay leaf. That’s not going to make much of an impression with your loved ones. I talked to someone a few years ago who was living on their food storage due to prolonged job loss. One day she realized that she had a vast array of baking ingredients but no vanilla. Or any other extracts. 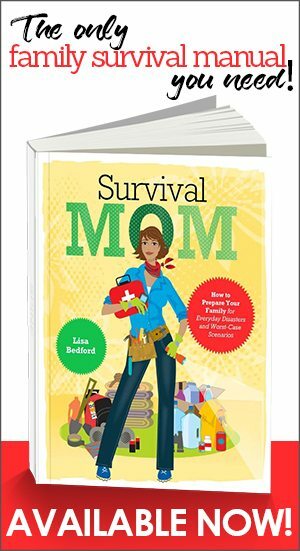 As has been asked here on The Survival Mom, what if you were sick, injured(or worse) and your 9 year old was suddenly in charge of feeding the family? They need the temporary option of popping open a can and sticking a spoon in it. Now imagine a prolonged disaster. Power has been out for over a week, propane and gasoline are gone, or nearly so. People are cooking basic staples and wild game in fireplaces and back yard pits either in their homes or in evac shelters. Under those conditions, what do you think would be the new value of a $2 box of water-only pancake mix? How about “luxury” items like chopped clams or chocolate chips? I just bought 14 cans of chopped clams because I had a rain check that got me extra gas points. What if the emergency went on for years? It doesn’t have to be Zombie Apocalypse. It happens in war all the time. What if your preps were stolen? How do you get more food? Sharing and barter are helpful, but it’s folly to count on them. That leaves three choices: foraging, hunting/fishing, and gardening. Do you know how to find and identify wild edibles? Do you have even rudimentary fishing/hunting equipment and knowledge? It’s harder than it looks. Store heirloom, non-hybrid, non-gmo seeds and learn how to grow them! Remember to include grains, beans, herbs, and even fruits, if you can. Protect them from moisture, heat, light and oxygen in that order. A brown paper lined canning jar in the fridge or freezer does nicely. If you buy a ready made “vault”, make sure it is from a seed company and not a food supplier. My parents used to say that God color-coded the plant world for a reason: eat all the colors and you’ll be healthy. We laughed and thought they were hayseeds. Who’s laughing now? There are different protective chemicals attached to each color and you don’t want to miss any. In both food and seeds, make sure to have multiple sources of all colors plus some vitamin tablets, just to be safe. Simply put, have some dry, some canned, some freeze dried, some frozen, etc. When the fridge is gone, there’s dry. If you can’t cook at all, there’s canned, etc. Just make sure you have a good can opener for the canned goods. Your food storage can include medicine, hygiene items, and household cleaners. Vinegar, baking soda, coconut oil, lemon juice, peppermint, and ginger, among others, serve myriad purposes besides cooking and baking. That’ll save space, money, and toxic chemicals. Those aren’t Norse gods. They’re restaurant concepts. FIFO means “first in, first out.” Write the date you buy it or the use-by date ( whichever works for you) on items and rotate them so the oldest is used first. This also helps you track how much you really use of an item. Par is the amount you’ve decided to keep in stock. 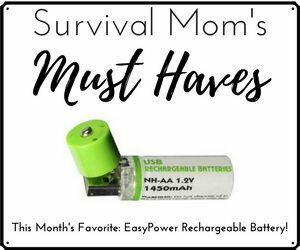 When do you buy/make more? At half-par. Let’s say you’ve decided to keep 40 lbs sugar around. You buy more at 20 lbs. Going lower is a good way to invite disaster. Kind of like the way washing your car causes it to rain. What are you going to eat all this food on? Traditional dishes and dish washing eats up a lot of precious water and space. Buy some multifunctional dishes like shallow bowl/plates, pie tins, sporks, and metal cups that can go on a fire. Dishes can be wiped with a damp cloth and sanitized with alcohol or witch hazel. Cast iron pans and can go right onto coals and should never be subjected to soap. Sturdy paper plates can be used several times and then composted or used for tinder. This means store your supplies in more than one location. There’s potentially some loss at any one location due to water, natural disasters, mice, or whatever. The rest is safe. Then there are other people whose house is easily located by their identities. They then show you where the guns are, where 90% of their food is, and even the “secret” escape hatch in the garage floor. Which of those approaches sounds least likely to get your carefully collected preps stolen? Also, when others don’t know exactly what you’ve got then they also don’t know what you AIN’T got, which is equally important. I don’t just mean guns and dogs. Say it comes down to barter time and someone knows you’re out of something vital like medicine or fuel. They’ve got you over a rather large barrel, haven’t they? Everyone has to eat, so food is the most obvious place to start getting prepared. Just remember the goal. This is not panic fodder. It’s panic prevention. I was a child when the Blizzard of ’78 hit New England in the days before Doppler radar and we had no idea how bad it was going to be. People were housebound or stranded all over. Stores ran out of supplies in hours. People were unprepared and all my friends’ parents were pretty scared. My parents hardly raised an eyebrow because they were Upstate New York farm kids. We always had several months’ food in the house and I had no idea that other people shopped week to week. I had trouble wrapping my mind around causing so much anxiety and danger when it’s so easily avoided. I still do. This is so great! Lots of things I didn’t think about before. Thanks so much for a fun and thoughtful read. My Dad was born in 1930 and was an upstate NY farm kid too. When the Blizzard of ’78 hit here in IN. We had food to spare. Always had at least a months worth of groceries in the basement. My hubby thinks I still do. I love that movie, so I cracked up at your opening! I learned my lesson many years ago after being housebound for 4 days in sub-zero temperatures with no heat, power, water, phones, or food. I vowed it would never happen again, and our stores have gotten us through several rough spots since then. Most recently, we were without an income for 3 months, and while we did buy a few groceries, we didn’t actually need anything. My kids finally understand why I stash things away, and they’ve begun helping instead of arguing about it. Rather than the regular requests for junk and fast food, they’re suggesting that I buy non-perishables for storage. I love it! I do look for the canned fruits and veggies that are packed in water and with veggies the ones with no salt added. I know that they don’t add much extra water, but it would be a little something more. The one area that I found most helpful was to have some luxury items for barter. This is something I definitely need to work on! Love the article. Thank you! Create how you like; spicy, not so spicy. Equal amounts or not. It’s up to you!! 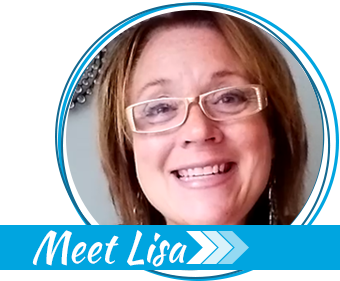 My husband noticed the taco salad was different–better and no preservatives like in those packages!!! Thanks Brandy! I used to know a Bosnian war refugee who said during the war , she couldn’t believe the things that were now “luxuries”. She said cocoa powder became worth more than its weight in gold. This was really well said and good reminders. Thank you! I sent the link to my sister-in-law who is getting married next week so hopefully she gets it right from the start! @Beth, an ounce of cocoa powder going for $1300 an ounce? I don’t believe it. Perhaps it was a figure of speech? @Everyone else, rosemary is not an annual, and thyme comes back every year. The ground makes a great ‘storage’ area. …But you knew that already. LOL, I’m sure the cocoa powder/gold was hyperbole….then again, you can’t eat gold. Perennial herbs are a great “storage” option but rosemary is native to the Mediterranean and in areas north of Zone 4 it’s a good idea to winter-protect it with mulch or wrap for a couple years until it’s bigger and stronger. Whoops! I meant Zone 7, obviously. Very insightful with a refreshingly humorous angle. Loved your section on eating the rainbow! I have been thinking about the bartering bit for many years now. Although I don’t really drink much coffee, I have “tons” of it stored for bartering. I also buy the 24 rolls of toilet paper, and have nearly an entire room full of it: yeah, well, what do you think toilet paper will be worth when the SHTF??? I also do not buy what I would not be willing to consume myself, so even though it is much more expensive ( I buy one extra each time I shop, that way, the cost is pretty much minimal), I do buy organic. I don’t use sugar, but I have lots of that, too, and someone mentioned cocoa….yup, got lots of that, as well! Those are my pretty much “go to” items that I stock up on for bartering later. Just think what is going to be NECESSARY or LUXURY items when there is little to be found, and start to add that to your prepping items. A good read, lots of info in not much space. Thank you. Adding luxury items for barter is an important thing that many people miss. Most people reason that they can do without their coffee, their bottle of liquor, etc. But that’s not the purpose of storing these items. I have a solid year worth of coffee, because that’s about how long I figure I want to be taking it out of storage and using it myself. But if things went bad, I wouldn’t be drinking the coffee. I’d be trading it a few ounces at a time for things that I either forgot or ran out of. 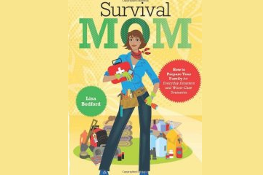 No matter how great a prepper you are, there’s no such thing as a perfect plan. If you suddenly discover that someone has gotten celiac disease and can no longer eat the bread, or bugs got into something, all those supplies could become worth far less. You’ll need something that other people want and have a passion for. There’s a lot of folks who have been without coffee for a week that would be glad to bargain with you for anything you need, just to hold a hot cup again. Don’t forget to stock up on the antibiotics. Yes, I know your family doctor won’t Rx your storage for you, but you can get the same thing via online pet shops in their fish department. No matter what you buy it for, amoxicillin is amoxicillin. Salt is an extremely important item. If power goes out frozen meat could be preserved with salt. Also, having a water bath & pressure canner & info on how to preserve fruit, vegetables, meat & other things is invaluable. We don’t drink but I have some vodka that was left at my house that I’ve saved; it could be used for as anaesthetic or barter. I would also recommend matches, lighters & a hand powered radio & lights. great article. Coffee, chocolate in several forms, and plenty of spices, herbs are on our must have lists. Never thought of them as luxury items, especially the coffee! Necessity for sure. Hi Beth, from a fellow Upstate NYer. Great article. Grew up in a family of small farmers and “planners” who lived through the depression and WWI and WWII. I have them to thank for the natural instinct to plan and prepare for the worst…ice storms and Eastern blizzzards included. I have passed that on to my children also.